This entry was posted in 2014 - KMSRAJ51 KI PEN SE ....., अपनी खुद की किस्मत बनाओ। and tagged Founder Kmsraj51, GREAT THOUGHTS OF KMSRAJ51, happiness quotes, Hindi Quotes, Kmsraj51, kmsraj51 quotes, mind power quotes, Personality Development Quotes, Quotes, Quotes in Hindi ! 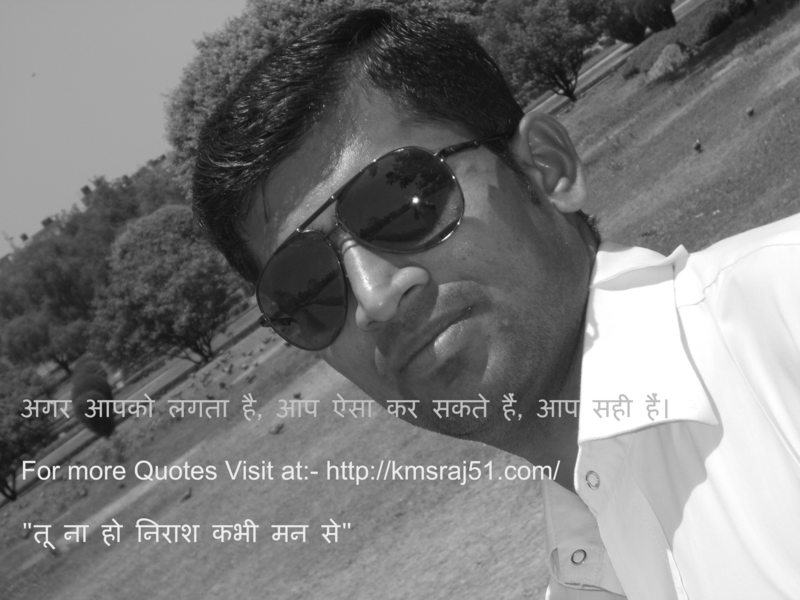 !, Success Quotes in Hindi. Bookmark the permalink.